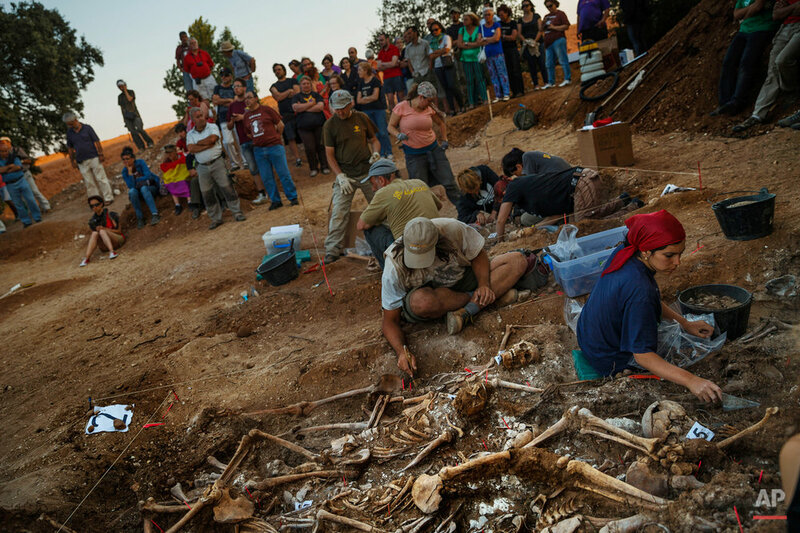 Across Spain, volunteer teams of archeologists, anthropologists and forensic scientists head out every year on expeditions to dig for suspected mass graves — a legacy of Spain's fascist past. Frequently watching them are the elderly sons and daughters who have long suspected they know locations of their loved ones who died many decades ago. Some were killed during the 1936-1939 civil war but many, primarily from the left, were summarily executed after the victory of the forces loyal to General Francisco Franco. So in villages like Estepar, less than three hour's drive north from Madrid, the elderly descendants of the dead watch as the volunteers dig and carefully place the remains they find, together with clothing and personal objects, into plastic tubs so they can be identified. Spain's government in 2007 passed a Historic Memory Law condemning atrocities committed during Franco's regime, which lasted until 1975. However, it has never come up with funding to embark on the searches or pay for DNA testing. 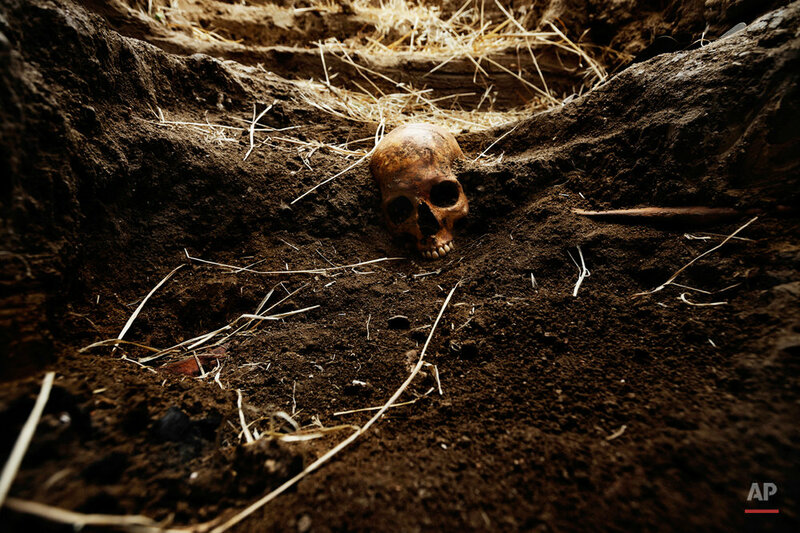 Most exhumations have been financed through local and international donations or crowd-funding. 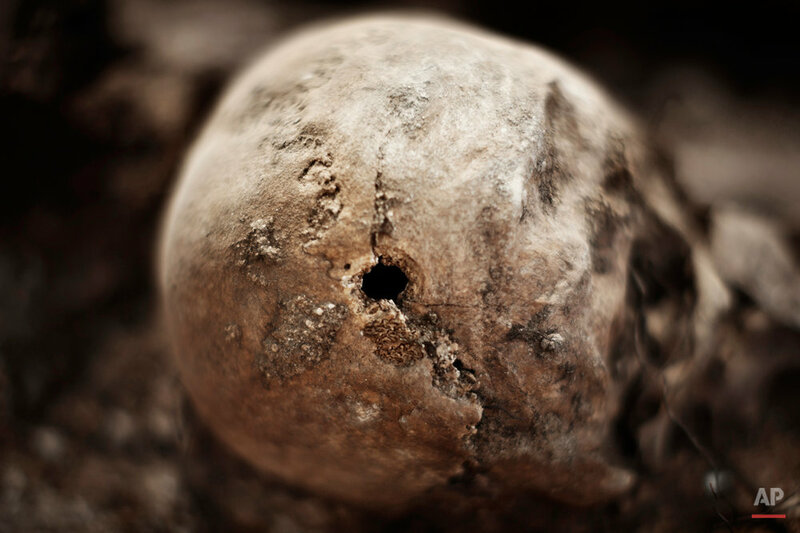 More than 200 graves have been exhumed since 2000 and about 5,700 bodies have been found, according to Spain's nonprofit Association for the Recovery of Historical Memory. 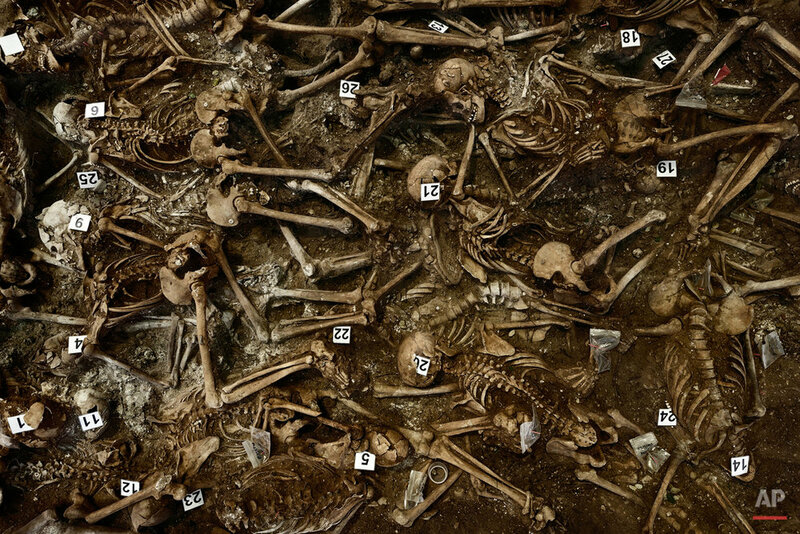 The government has never provided an estimate of how many died during Franco's regime, but former Spanish Judge Baltasar Garzon has estimated that 114,000 could have ended up in the mass graves. His much publicized investigation into Franco era crimes was halted when the magistrate was barred from the bench in 2012 for overstepping his jurisdiction in a separate case. 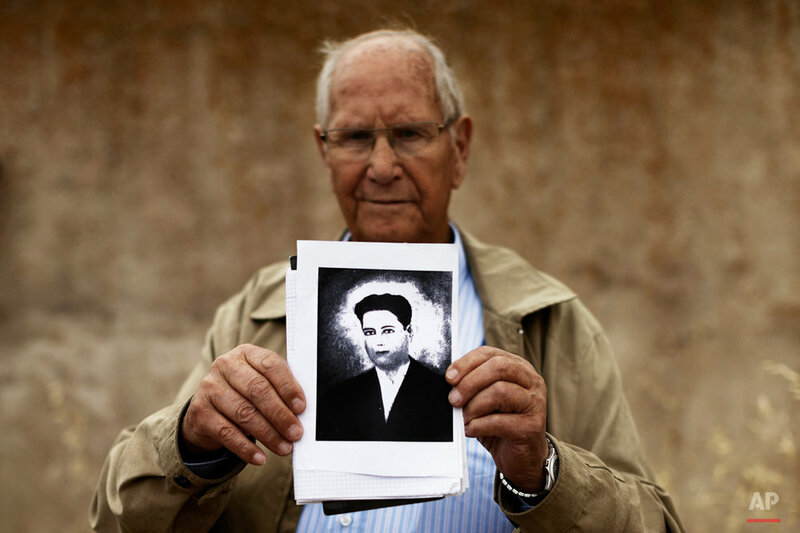 Opening text from the AP news story, AP PHOTOS: Spain searches for Franco-era graves, by Daniel Ochoa de Olza.